This book is produced as a part of the research project Taxation, Institutions and Participation (TIP). TIP investigates the effects of tax havens on domestic revenue systems, institutions and on citizen participation in African countries. The project aims to generate new, contextualised evidence on the political economy of domestic revenue mobilisation, institutional development and state legitimacy in countries exposed to large scale capital flows. TIP is led by Chr. Michelsen Institute (CMI), and funded by the Norwegian Research Council. 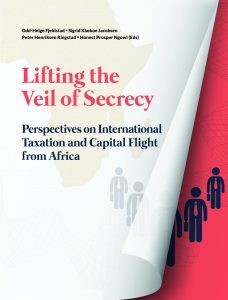 The book is based on research and interaction with colleagues in research institutions, civil society organisations, tax administrations and the private sector in Africa. It is developed in close collaboration with Tax Justice Network – Norway (TJNN).